Innovis S.A. is a Greek software company. Since 2001 it is active in designing and developing software applications for Business Process Management and Workflow Automation, Performance Measurement, Human Resources Management, Information and Knowledge Management. Counting 9 years of successful existence in the Greek market, Innovis has accumulated an up-to-date technological know-how, developed by its group of experienced professionals. What is more, iΤΕΑΜ S.A., an IT company with an outstanding development in the last years, participates in the company’s share capital. Innovis S.A., within exceptionally short time, has presented an impressive series of products and has already undertaken the implementation of important projects on the account of its clients. At the same time, Innovis is continuously developing new products and services, targeting at the Greek, as well as at the European market. It has as well developed partnerships with IT companies, aiming at providing its customers with a full range of integrated solutions. 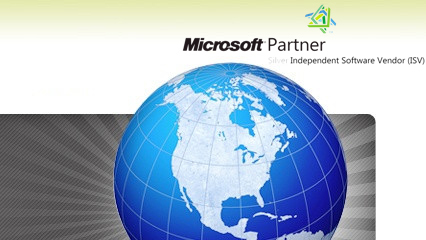 Innovis S.A. is investing to the future and its people, through strategic steps, such as the Microsoft Partner Certification. Innovis is certified as a Silver Independent Software Vendor - ISV, for BizSmart™. BizSmart™ is an advanced workflow management system/BPM software, used for workflow automation. innovis is leading the area of business process management.